Biologists with the Ventana Wildlife Society (VWS) were taken by happy surprise, with their recent discovery of a previously unknown juvenile condor alongside a known breeding pair of adults in Big Sur, Calif.
Because there are so few California condors — just 116 living in the wild in California, according to the VWS — the big vultures are closely monitored by biologists. It’s unusual, then, for a new arrival to hatch and be reared by its parents unobserved. VWS suspects the breeding pair seen with the juvenile are indeed the proud parents. The organization thinks the amorous couple, known as #209 (or “Shadow”) and #231 (or “Wild 1”), are nesting in an area of the Ventana Wilderness that is so remote it’s inaccessible to observers. “It’s just a sign of how well the flock is doing — that they are flying out on their own, making nests and breeding on their own,” biologist and VWS Big Sur condor project coordinator Joe Burnett told the San Francisco Chronicle. A cursory glance at the numbers helps underscore the enthusiasm felt by the biologists. By 1987 the California condor, the largest bird in North America, with a wingspan of nearly 10 feet, had become nearly extinct in the wild. The last 27 animals were captured and cared for in captivity. Habitat loss, poaching, and lead poisoning (thanks to hunters’ lead bullet fragments present in big-game waste) were among the factors that led to the condor’s dance on the edge of total extinction. 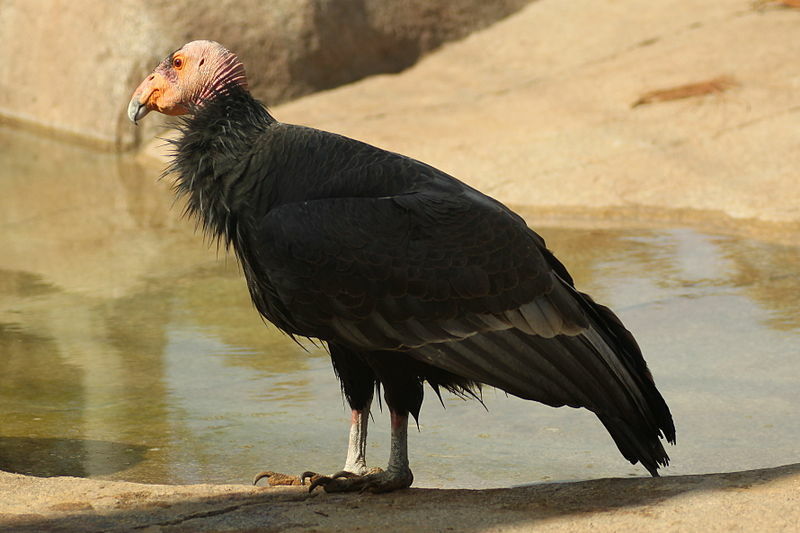 But successful captive-breeding and wild-release programs have since boosted the California condor’s population to today’s overall count of 425, according to VWS. In addition to California, condor populations can also be found in Mexico, Arizona, and Utah. The recent surprise pairing marks just the third time since 1997 that California condors have mated without being observed, the Chronicle noted. “This is truly exciting to witness as it offers another example of condors surviving on their own,” said VWS Executive Director Kelly Sorenson in a statement.